Have I ever told you guys how much I love IKEA? I’m definitely in my happy place when I’m walking around their showroom. So many ideas! So affordable! So crowded! Sorry, I had to throw that one in there. I’m planning on making a big shopping trip one of these days. In the meantime, I’ve compiled a list of incredible IKEA hacks you must know about. These.things.are.amazing. I’m definitely picky when it comes to home decor in general. I don’t like anything that looks fake. Or too done up. Or cheap. There’s a lot of IKEA hacks out there that are just ‘meh’. But I do LOVE to save money (who doesn’t?) And I love to create beautiful home decor that isn’t expensive (but looks it). Decorating a home can get expensive very quickly. This is such a good way to furnish your home in style at an affordable price. 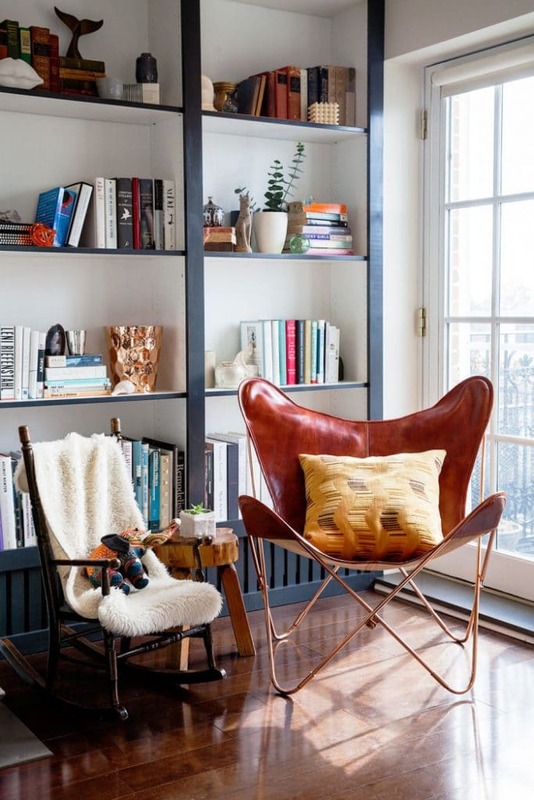 These are some of the best IKEA hacks out there that you have to try. By the way, you might want to read about some of the best items at IKEA. 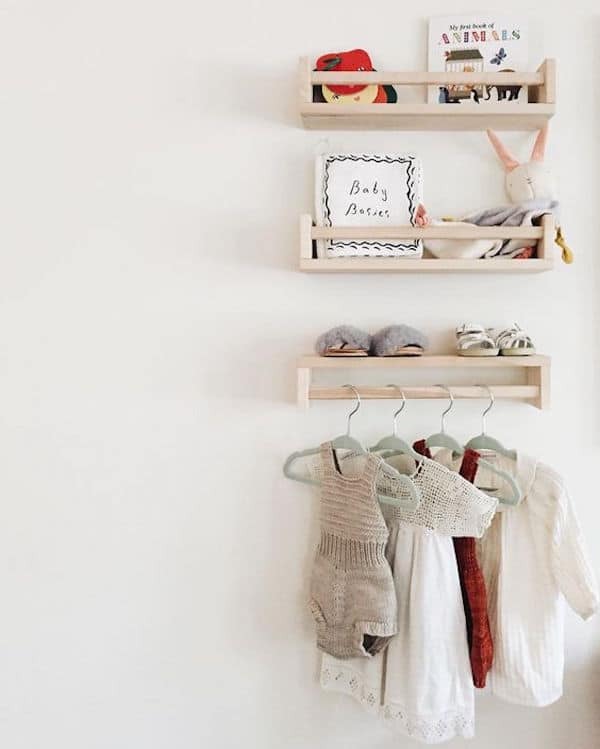 You can also check out these IKEA furniture hacks for every room in your home. 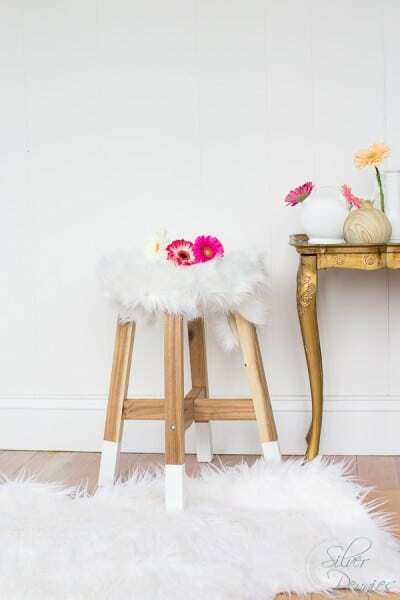 These stools are under $20! I am right now thinking of 101 ways I could use these little guys around my house. In the bathroom, in my kids rooms, in the playroom, in the kitchen, as a plant holder…on and on. Style me Pretty used some paint to jazz up these stools in a unique way. I love the result! Or add a little fur trim like Finding Silver Pennies did here. If there is a Hack of all Hacks you must know about, it’s the BILLY bookcase / built in bookcases HACK. Say that sentence three times fast. Forget spending a fortune to get custom built ins (unless you want to). These look amazing and I would never be able to tell the difference. Would you? 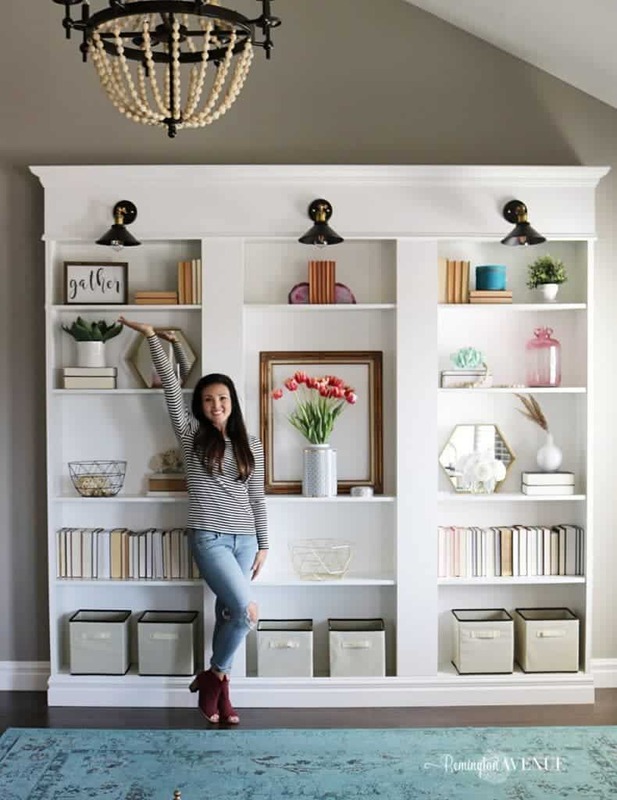 Using trim and paint, these bookcases get transformed into a built in that looks like it was there all along. 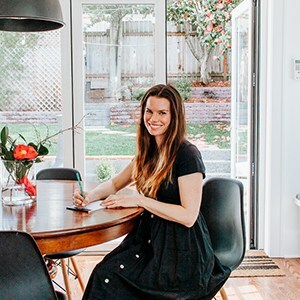 Kristin from Bliss at Home was featured in Better Homes and Gardens for her amazing work here. Love it! 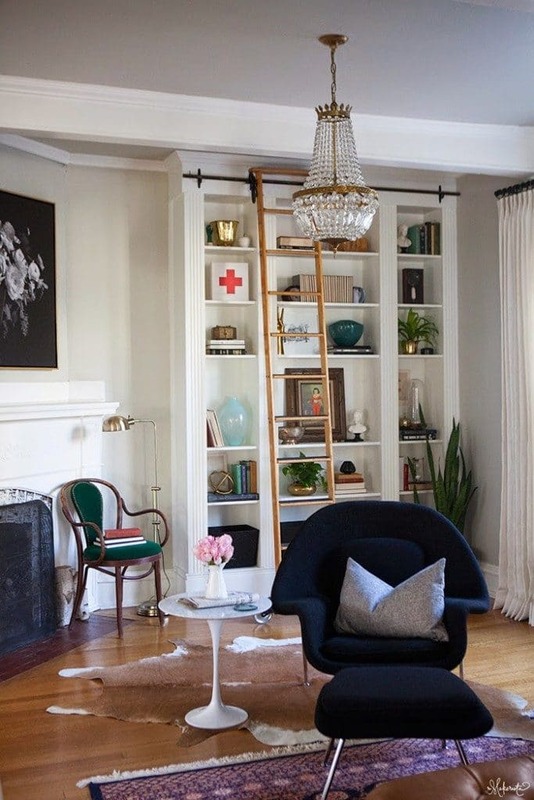 Mysha from Remington Avenue also knocked it out of the park with her BILLY bookcase hack. 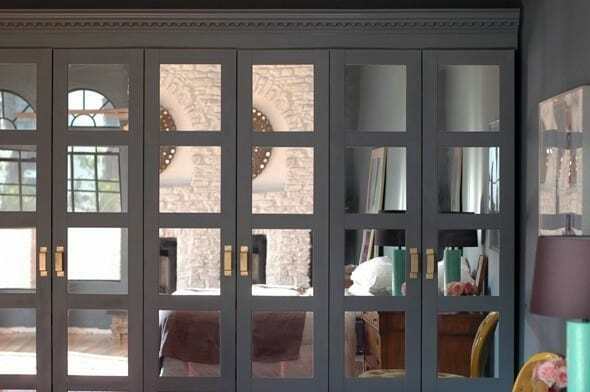 Irene Edwards used a high gloss gray paint to tie her bookcases into the fireplace. Very chic. Check out what The Makerista did here with some trim! She even added a ladder. I never knew I could love a spice rack so much. Did you know how many creative uses there are for these BEKVAM spice racks? TONS. And they are super cheap! You can use them for spices, yes, but also to hold craft supplies, nail polish, toiletries, toilet paper!!! My favorite hack for them is definitely to hold children’s books, like this sweet picture below. Notice how they hung one upside down as a clothes hanger? Genius. This one dresser has been hacked so many times. These ones look really good. 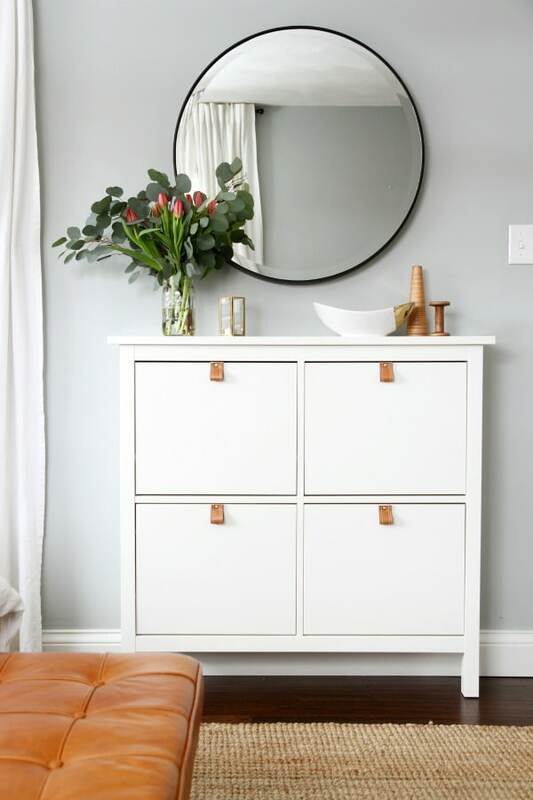 I’m obsessing over this dresser hack by Sarah Sherman Samuel. I love the color and the dresser pulls she chose. And this one from Kristina Lynn. Definitely looks like a mid century modern piece from West Elm! I also wanted to include this one by Diane from In my Own Style. You would never even know this was a dresser! Amazing! 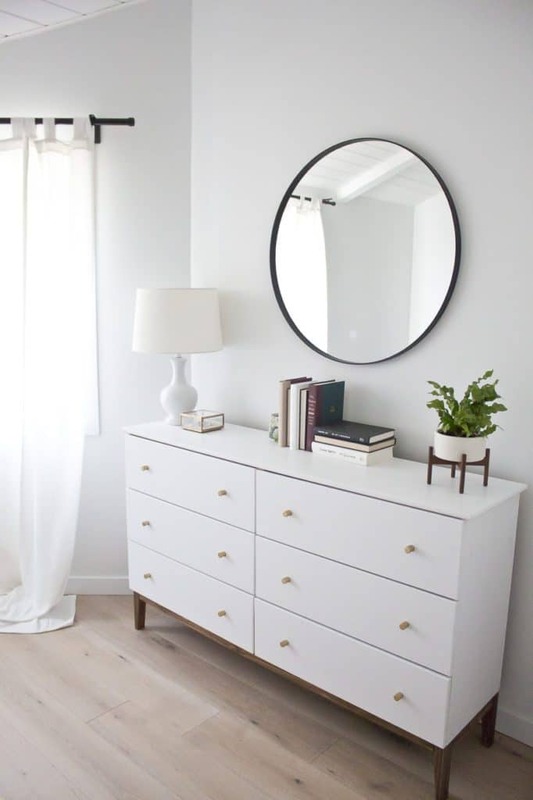 I am a huge fan of the HEMNES line from IKEA. I have the HEMNES dresser in my daughters room. Actually, it was mine from a long time ago and it was handed down to her when we bought new furniture for our master bedroom. It’s still holding up really well! 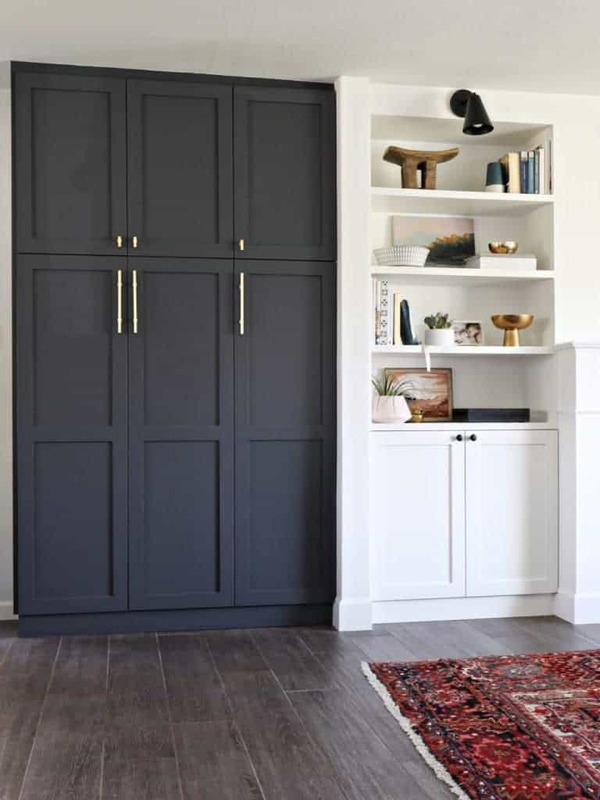 For this IKEA hack, Dana from House Tweaking used a belt to make these stylish leather pulls on the HEMNES shoe storage. This looks amazing! And this is much more functional now! Note to self : Get HEMNES Shoe Storage. And “borrow” hubby’s leather belt. jk! Delia from Delia Creates took the oh so popular KALLAX bookshelf unit and added a back as well as legs. It totally changes the whole look in my opinion! 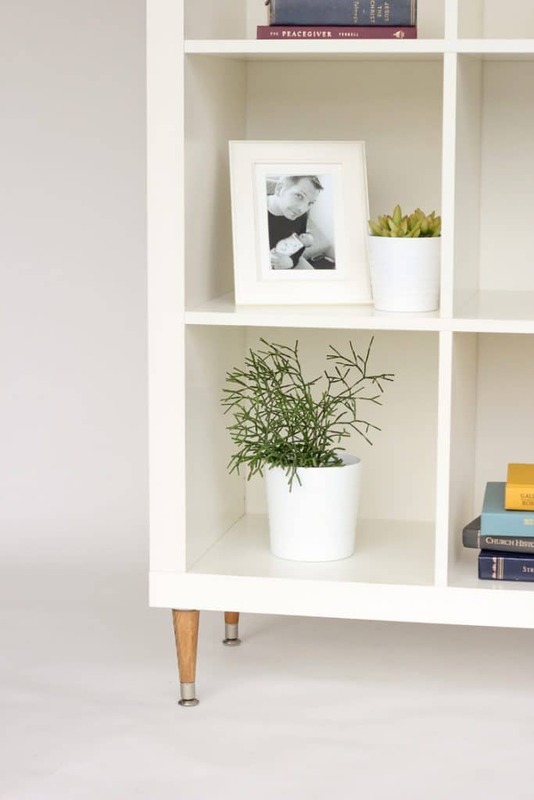 And these KALLAX bookshelves will pay for themselves, with or without a hack. 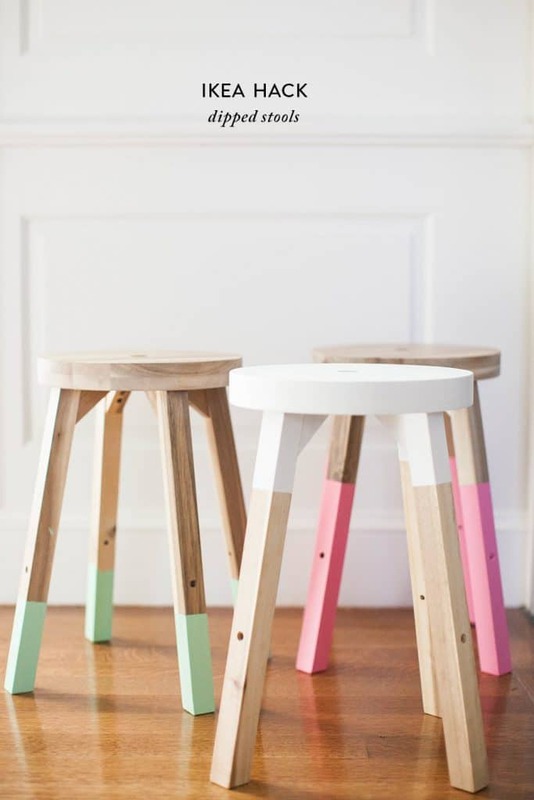 They are perfect for playrooms! Any rooms, really. 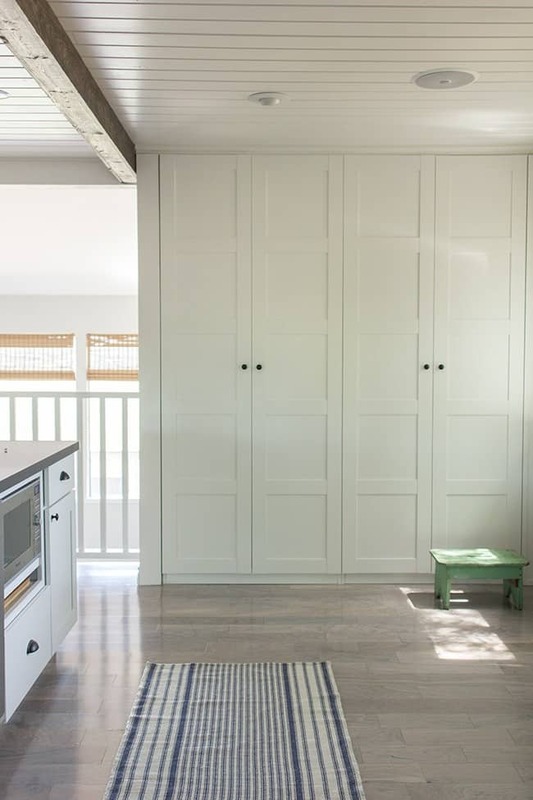 A wardrobe as a kitchen pantry? Yep. These are simply stunning. Jenna Sue created a custom looking pantry out of a bunch of PAX wardrobes. So pretty! Brittany Makes did something similar and painted hers a pretty navy-gray color. It’s equally stunning and looks like a custom piece! Or, stick with the wardrobe idea and make it really unique like Jenny Komenda did! We should definitely get to IKEA soon, right? I hope you guys enjoyed this post. Thanks so much for reading! Subscribe to my newsletter below for weekly blog updates and access to free printables!